A popular travel destination while travelling the Grand Canyon du Verdon is the village of Aiguines in the Alpes de Haute region of Provence, France. 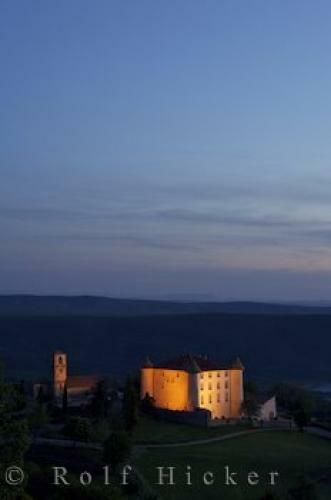 The restored 17th centure Chateau in the Village of Aiguines after sunset, Alpes de Haute, Provence, France, Europe. of Aiguines, Alpes de Haute, Provence, France.